Morning move to Ranthambore National Park. Arriving the national park in the afternoon, you will check in at the wildlife resort. We will arrange the wildlife tour in the evening for you that will help you understand the wildlife milieu better. With the evening walk in the forest will please you with the viewing of Hanuman Langurs taht are found in abundant in thsi area. In the Afternoon we will be pickning at the Chambal River. In the evening we take small sighseeing tour to discover its exotic flora that comprises of Am (Magnifera Indica), Imli (Tamarindicus indica), Babul (Accasia nilotica), Banyan (Ficus benghalensis), Ber (Zizyphus mauritania), Dhak or Chila (flame of the forest), Jamun (Syzygium cumini), Kadam (Authocephalus cadamba), Khajur (Phoenix sylvestris), Khair (Accacia catechu), Karel (Capparis decidua), Khejda (Prosopis specigera), Kakera (Flacourtia indica), Mohua (Madhuca indica), Neem (Azadirachta indica), Overnight stay at Ranthambhore Resort. Early morning today before Breakfast, we take Jeep Safari to the Tiger Reserve, exploring the tigers and other attractions of the jungle that include Leopards, Striped Hyenas, Sambar deer,Macaques, Jackals, Jungle cats,Rufoustailed Hare, Indian Wild Boar, Chinkara etc. After the we will engage ourself in birding spotting some of the rare species such as crested serpent, spoonbills, partridge, quail, parakeets, Common kingfishers, owls and storks, geese and ducks. The most visible bird in Ranthambhore is the peacock, India's national bird. Later we visit the Ranthambhore Fort, founded in the year 944 by the Chauhan Rajputs. After the defeat of the Chauhan king Prithviraj III by Muhammad of Ghori in the year 1192. It led by Govinda Raja, grandson of Prithviraj became the center of Chauhan resistance to the expanding Sultanate of Delhi. Later after many battles & rulers, it came in hands of Mughals Emperor Akbar in the year 1559. The fortress passed to the Kachhawa Maharajas of Jaipur in the 17th century & it remained part of Jaipur state until Indian Independence. The area surrounding the fortress became a hunting ground for the Maharajas of Jaipur. Overnight stay at Ranthambhore Resort. After breakfast drive to Agra via Bharatpur, erstwhile royal hunting retreat famous for its proximity to Keoledeo Ghana National Park, which has the largest concentration & variety of bird life in all of Asia. Stop by at Fatehpur Sikri, one of the capital cities of Akbar. This new capital came up in 1569. Upon arrival at Agra, check in at hotel. Overnight stay at Agra hotel. 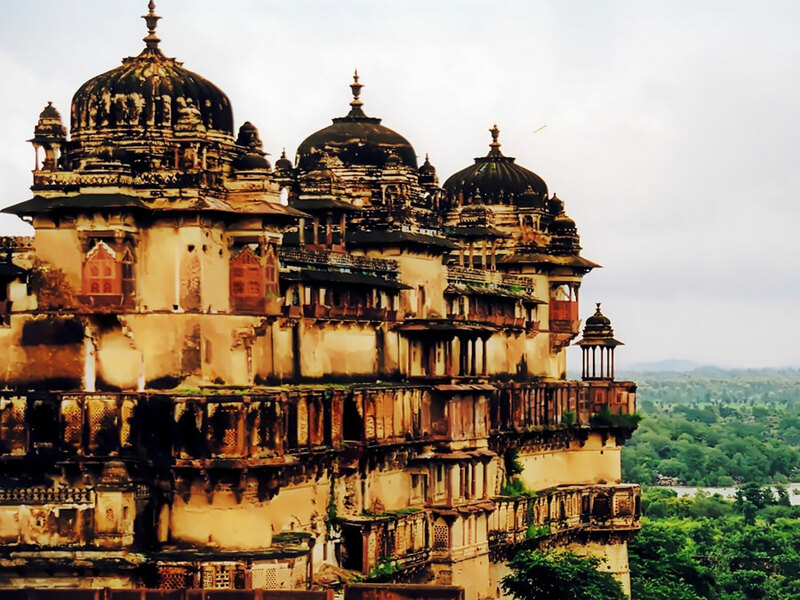 The sightseeing tour to Orcha will transport you to the historical age, and remind you of the rajas and Maharajas who built the great forts and palaces. Post breakfast visit Orchha Fort, Jahangir Mahal, Raj Mahal, Ram Raja temple in Orchha, further drive to Khajuraho. Overnight stay at Khajuraho hotel. the tour you will be visiting the most enchanting destination of the country - the Khajuraho temples built between 950 - 1050 AD by the mighty warrior kings of the Chandela dynasty, a truly inspired burst of creativity. Only 22 temples survive of the 85 originally built. Matangeshwara temple is still in worship today, continuing an unbroken 1000 year tradition. Later drive to Bandhavgarh. Overnight stay at Bandhavgarh Wildlife Resort. 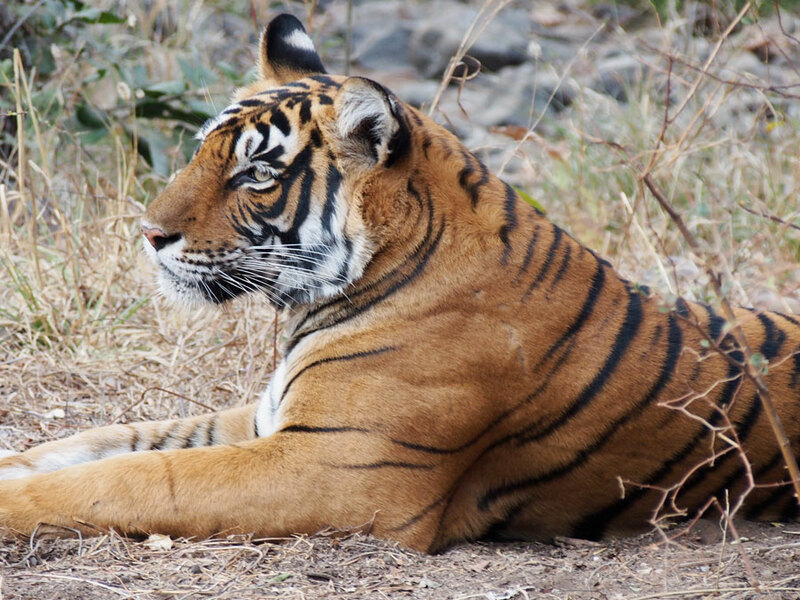 Early morning move to Bandhavgarh National Park and early Morning & Afternoon jeep safaris of Bandhavgarh National Park, its much smaller than Kanha National Park, but claims to have the highest density of tiger population in India, reportedly between 46 to 52 tigers. There are also 27 leopards there. The park area is 448 sq. km. Evening free for nature walk. Overnight stay at Wildlife Resort. Continuing our wildlife tour we head towards the Kanha National Park. 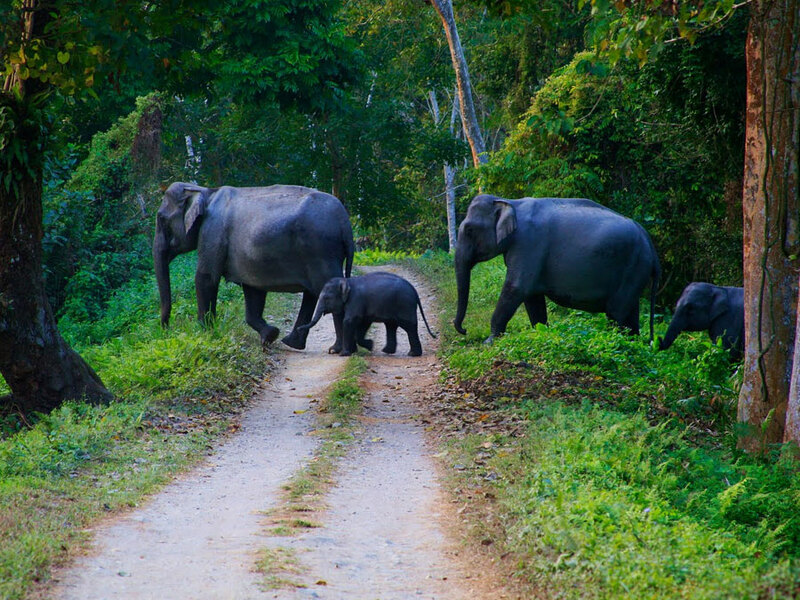 Kanha National Park is one of India's largest national parks, covering 1945 sq. km, including a core zone of 940 sq. km. Upon arrival check in hotel. Leisurely evening. Overnight stay at Kanha wild life resort. Next day too we will be at the Kanha National Park. Afternoon jeep safari at the Park. 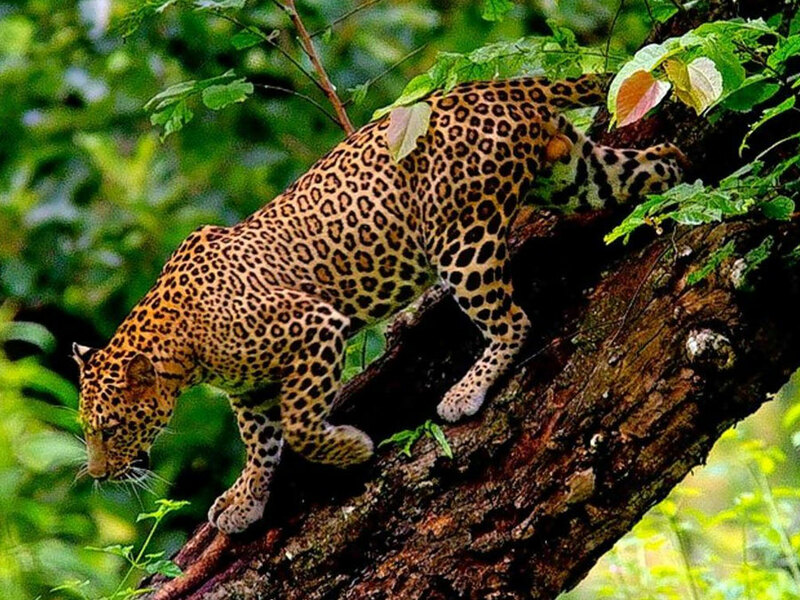 Proper wildlife management over the past 30 years has noted a steady increase in the numbers of tigers & leopards, not to mention Sambhar, Cheetal (Spotted Deer), Swamp Deer & Gaur (Indian Bison). 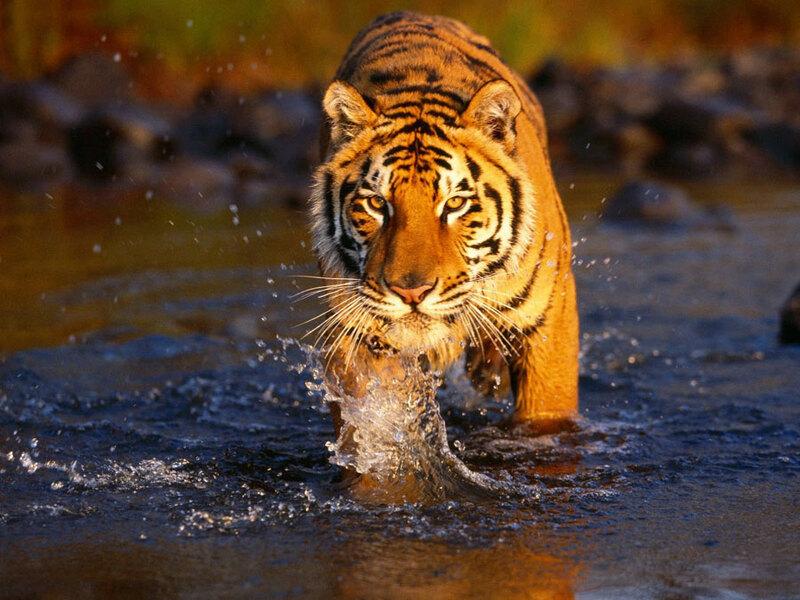 The 1997 census put the Tiger population at 114 & the Leopards at 86. There is a reasonably good chance of sighting tigers here & this is one of the best places in the state for bird watching. Evening dedicated to bird watching. Overnight stay at Kanha wildlife resort. Finally we are back to Delhi. Today we take a guided tour of Old Delhi, the 17th century walled city of Shah Jahanabad, Visiting the great Jama Masjid, the principal mosque of Old Delhi. Built in the year 1656 AD by the Mughals Emperor Shah Jahan, it is the largest & best known mosque in India. Later we walk down or take a rickshaw ride through Chandi Chowk, the old marketplace of Shah Jahanabad now a picturesque bazaar to reach Red Fort, built in the year 1648 by Shah Jehan. In New Delhi, we visit Raj Ghat, memorial to the Father of the Nation, Mahatma Gandhi. It is a simple black marble platform that marks the spot of his cremation on 31 January 1948. Further we drive past India Gate, memorial built in the year 1931 to commemorate the Indian soldiers who died in the World War I & the Afghan Wars. The names of the soldiers who died in these wars are inscribed on the walls. President's House, the official residence of the President of India, built in the year 1931. Until 1950 it was known as Viceroy's House & served as the residence of the Governor-General of British India. We will also visit Humayun's Tomb, memorial of Mughals Emperor Humayun, built in the year 1562. The complex is a World Heritage Site & the first example of this type of Mughals architecture in India. Qutub Minar, built in the year 1206 by Qutub-ud-din Aibek. It is the tallest (72m) brick minaret in the world, an important example of Indo-Islamic Architecture. Qutub Minar & its monuments are listed as a UNESCO World Heritage Site. Later dinner transfer to International airport for fly back to sweet home.